Cirque du Soleil is back in T.O. with their latest big spetac, Amaluna. Have to say that we were underwhelmed with this one. It’s great fun as always, but definitely doesn’t have the “wow, how do they do that” moments that we’ve seen in other shows. And the clowns are the unfunniest clowns we’ve seen in a long time, Cirque or elsewhere. 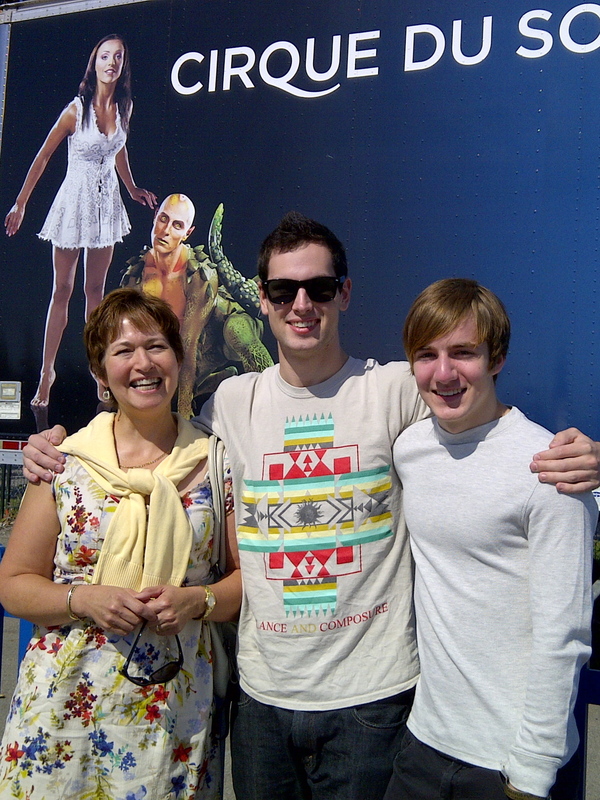 Heidi, Colin and Robert McVeigh waiting to be blown away at Amaluna. Last week, Phil Allt and I were at the Guelph Jazz Festival for concerts by Abdullah Ibrahim and Nils Petter Molvær. The former was a bit of a snoozer, but the latter shook things up in my old home town. Molvær’s music is much wilder, louder and less civilized in performance than in his recorded work. I really liked the way his trio cycled from narrow control to wide-open loudness throughout the set. Just wish they had played more than an hour.